Insurance Agent | Construction Bonds, Inc. Unable to Offer Bond Solutions for Your Contractor Clients? 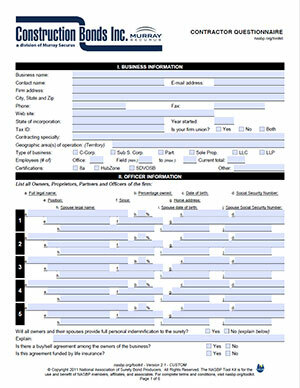 Please use the checklist as a guide for uploading forms. Please use the forms below if you do not have your own. Resumes, letters of recommendation, corporate documents. Bond Request Form (above) with copy of solicitation or contract. 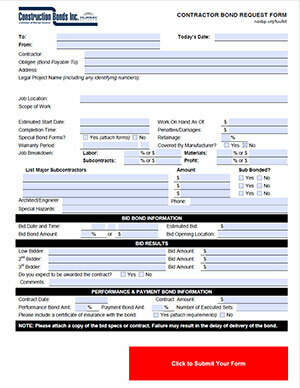 Click the forms below to download, and print.